The Vitamix S30 is the newest addition to the Vitamix lineup and their first entry in the S-Series (personal) blender category. This new blender is much smaller in terms of size and horsepower, but is priced very closely to its full-sized counterparts. Since the largest container available for the Vitamix S30 is only 40 ounces, this blender is clearly built for someone making small or single sized portions, those with limited counter space, or the traveler who just can’t leave their Vitamix at home. 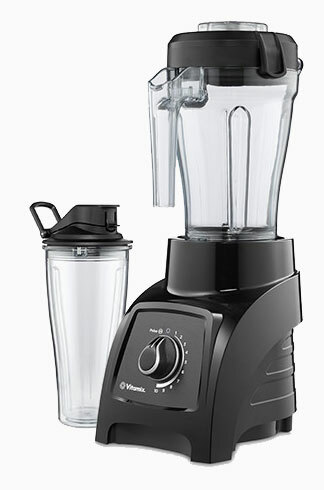 The Vitamix S30 is the smallest model that Vitamix offers. It stands just 15.5″ tall with the 20 ounce container in place or 14.6″ tall with the 40 ounce container in place, only 8.3″ deep, and 5.75″ wide. Compared to the full-sized Next Generation models, the S30 is only 2″ shorter, about 2″ less wide, and 1.1″ less deep on your countertop, so it still isn’t exactly small. The base, which is only available black or red, weighs about 8 lbs. by itself, but when all pieces of the package are combined, it weighs in at around 12 lbs. 6 oz. The power cord is slightly shorter, only 4 feet compared to the standard 6 feet found on all other Vitamix models. The S30 package comes with the Personal Blending cookbook which contains recipes specifically calibrated for the S30 and a tamper designed to fit the smaller, 40 ounce container. There are two unique containers included with the Vitamix S30 package, a standard container and a smaller “blend-and-go” container. The larger of the two, a 40 ounce container, is similar to the design of those found with the larger Vitamix blenders and comes with the patented Vitamix tamper and the spill-proof, vented lid. This is the container that you’ll need to use when making soups and larger mixtures, or if you’re making a thicker recipe which might require the use of the tamper. The other, a 20 ounce, double-walled container comes with a specially designed, screw-on, flip-top lid. This smaller container is perfect for blending individual drinks or smoothies, or smaller recipes. It is important to note that, since this container is not vented, you should not blend hot liquids in it. Blending hot liquids or allowing the blender to run long enough to heat the ingredients inside may cause pressure to build resulting in leaks. A unique feature of both Vitamix S30 containers is the ability to remove the blade assembly. Unlike standard Vitamix containers, where the blade is bolted onto the plastic container shell, the blade of the S30 are attached to a separate removable base. This base must be screwed on to either the 20 or 40 ounce containers before blending, and only one is included with the S30 package. If you do not have a strong grip, it might be difficult to securely tighten or remove the blade base. Vitamix suggests using a spatula handle as leverage if you have any problems screwing it on tight. Another change to the S30 containers is that they are now dishwasher-safe. 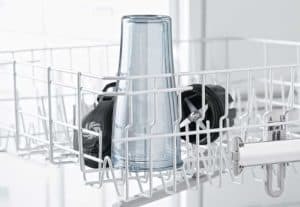 Previously, Vitamix owners were told to wash the containers by hand and not put them in the dishwasher, but the S30 containers, blade base, lids, and seals are all dishwasher-safe if washed on the top rack. This makes clean up a bit easier, especially if you’re rushing out the door in the morning. Still, for thick mixtures, it might require a bit of manual work to scrape the leftovers off of the sides or blades to make sure they get really clean in the dishwasher. That said, cleaning a Vitamix blender has never been very difficult; all it takes is a half-full container of hot water and a few drops of dish soap. Note: you should not do this with the 20-ounce container since the pressure created will cause the container to leak out soapy water. However, if you do want to clean the blades after blending in the 20-ounce container without touching them, you could transfer the blade unit to the 40-ounce container and fill that container with water and soap. The motor found in the Vitamix S30 is a 120 volt (60Hz), 790 watt, 1-peak horsepower motor. Just like other Vitamix motors, this motor is fitted with a radial cooling fan and thermal protection system to prevent overheating during use. The base also features an interlocking system which includes an automatic shut-off protection, so that the motor can not be operated without the base being correctly attached to the container. Although the motor of the S30 is less powerful than its larger Vitamix counterparts (790 watts vs 1380/1440 watts), it is still more powerful than most blenders its size, like the NutriBullet, Bella, or Oyster. 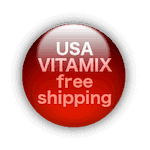 The controls of the Vitamix S30 are similar to those found on the standard Vitamix packages without preprogrammed settings, except simplified for the reduced size of the S30. It features a single control dial which is used to both turn the motor on and off, adjust the speed, and pulse the motor. Using the dial, you are able to select the appropriate speed for your specific recipe, or turn to the pulse setting to create recipes with more texture, like chunky salsas. The NutriBullet is a well advertised blender and is very popular on Amazon.com. It compares well to the S30 in that they both are single serve personal blenders. The biggest difference between these two blenders is the price, with the S30 coming in at $399 and the NutriBullet at $79. Wow, huge difference! Is the S30 worth an additional $320? Serving Size: NutriBullet is strictly a single-serve blender and comes with only one container. The S30 comes with a single-serve container and a second 40 oz container good for 2 or possibly 3 smoothie servings. Power: The NutriBullet is adequate for lighter blending chores, but struggles with popular greens such as Kale, commonly blended vegetables like raw carrots, and my go-to smoothie ingredient, frozen fruits such as strawberries and pineapple. The S30 is more versatile, almost as functional as a Vitamix 5200, so it much more than a personal blender. You might think of the NutriBullet as a single-purpose blender, designed for one person, for smoothies only, and for lighter fruits and vegetables. 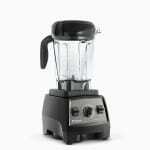 The S30 on the other hand, is a multi-purpose blender that can also be used like a personal blender. Overall, with such a huge price difference, I’d say that if your goal was to “try” this smoothie thing and healthy eating, the NutriBullet would be a great way to dip your toes into this diet. But be aware your choice of recipes will be limited to easier blending fruits and veggies. On the other hand, if you’re committed to this new lifestyle, the S30 may be the right blender for you. If you only need to blend for yourself, the Vitamix S30 is a great choice. Both containers are very small and really only sized for single servings. 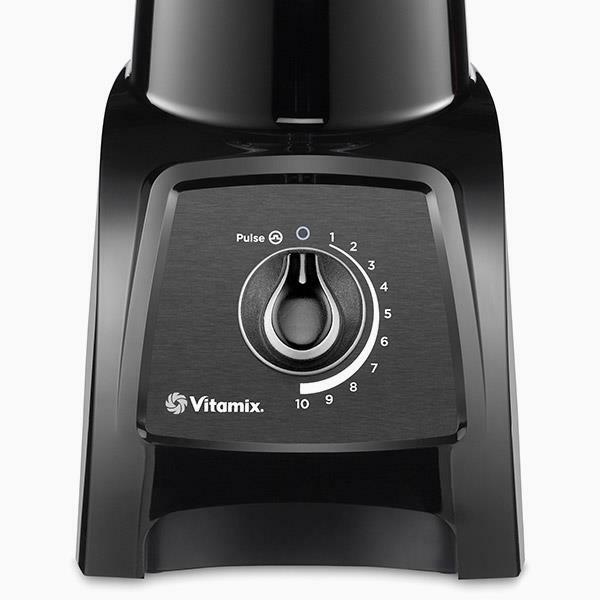 The smaller size of the Vitamix S30 is one of its main selling points, but compared to the Next Generation models, the S30 is still only 2″ shorter, about 2″ less wide, and 1.1″ less deep. This isn’t a mini blender, but if this difference means that you’ll keep it on your counter or pack it in your carry-on suitcase and use it more often, it may be the perfect fit for you. However, if you do decide to upgrade to a larger Vitamix in the future, like the 5200 or 7500 model, the specialized 20 or 40 ounce containers are not interchangeable with other models. Personally, I’d love to see a smaller, dishwasher-safe container with the to-go lid to fit standard Next Generation or Classic series Vitamix models. I’m sure current Vitamix owners are feeling a little left out. With its $400 price tag and 5 year warranty, the Vitamix S30 falls into the same price set as most of the Certified Reconditioned line from Vitamix where packages range from $299-$519. I personally would opt for a Vitamix Certified Reconditioned 5200 over the S30, and add on a to-go container. 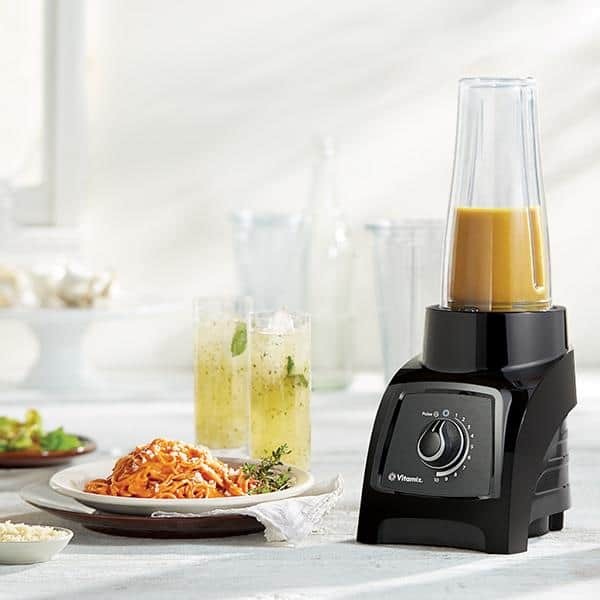 That combination would get you a super powerful all-purpose blender with easy clean up, with the versatility to dispense into a smoothie bottle. But if I were restricted in space, say in an RV, small apartment or condo, or have a kitchen with very little counter top space, the S30 is a great space saver and would allow you to keep it on the counter full-time. If the single serving size and ability to put the containers directly in the dishwasher is not a huge selling point for you, the Certified Reconditioned Standard priced at $329 is a great deal and you will still have plenty left over to purchase a few to-go smoothie cups. The Vitamix S30 now has a Certified Reconditioned option. This option will save you $140 over buying brand-new and it still comes with the same, 5-years of warranty coverage. I have the Vitamix 750 and love it. I am wondering, though, can I buy the single size pitcher and use it on my bigger machine? Sometimes when I’m blending up herbs and oils for a rub/marinade, I BARELY have enough to even cover the blades and 50 percent of it ends up on the walls of the pitcher. I’d like a smaller more contains pitcher. Any suggestions? Unfortunately, the smaller containers made for the S30 won’t fit on the other Vitamix models. The connections are different. If you’re looking for a smaller container for your 750, I’d recommend this 32-ounce container from Vitamix. How does this smaller version do blending ice?is the motor strong enough? The S30 does an excellent job blending ice! One thing to note: it’s important to put the ice into the smaller container first, so the softer ingredients get blended first and provide some lubrication to get things moving better.